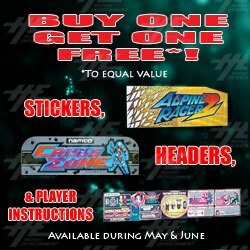 Purchase any game header, player instruction and game sticker set during May or June, and receive another free to the same value. Please note that this offer excludes posters. In order to receive this special deal, please email to our sales team before making payment for your order.